Most people use their cell phone a lot on a daily basis so that you can easily get tired of its look. With a Huawei G6 custom case, you can give your Huawei smartphone an entirely new look that suits your style and personality like no other. You only need to upload your design and we will take care of the rest. Our Huawei G6 photo case is made of high-quality materials and for the print of your personal design, we use state-of-the-art UV-printers and scratch resistant ink to ensure only the best results. One of our production specialists will take care of your Huawei G6 photo case with the utmost attention to detail. 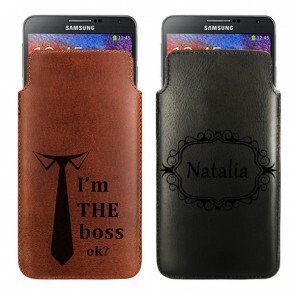 As you can see, our Huawei G6 custom case is all you are looking for and maybe even more. So let's get started designing it now! Creating a high-quality Huawei G6 photo case has never been this easy. You only need to follow a few very simple steps and you don't even need to have great design skills. With our user-friendly customizer, it will only take a few minutes until your very own Huawei G6 custom case is ready. First of all, choose the type of case that you think is best for you as well as the design for your Huawei G6 custom case if you haven't done so already. Now, you need to upload it to the design tool which can be done either from your computer or another device directly or a social media account. The design module offers some handy editing features so that you can give your design for your Huawei G6 photo case the perfect touch by adding stickers, text, or applying a filter. Once you have completed this step, it is our turn. We will begin producing your order almost immediately after purchase to make sure that you will receive as quickly as possible because we know you can hardly wait to use it and show it to your friends and family members. We will ensure your Huawei G6 photo case ships within 24 hours of ordering.